Well written, Brahm. Do you use dropbox (or similar) service? What are your thoughts on using it from a security standpoint given that I think it uses server side encryption instead of client side. I think Dropbox does actually use an SSL connection for transferring files (see: https://www.dropbox.com/dmca#security), but that didn't stop them from having a big ugly security breach last year. I mostly use Dropbox for convenience - I store a few documents and guitar tab files there. One thing Dropbox is superbly useful for is a storage locker for your encrypted "containers". 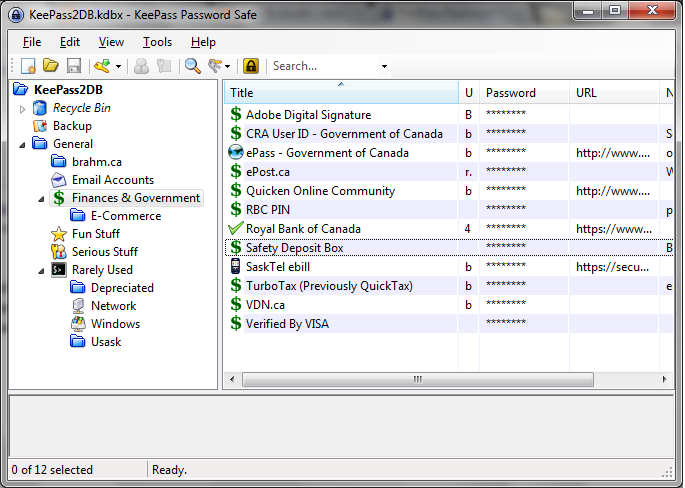 I keep my encrypted KeePass database in Dropbox so I can access it anywhere. I also created a 250MB TrueCrypt container that acts as an ultra-secure cloud storage locker for some files I might need access to remotely - like some personal accounting info, and a snapshot of the contents of my wallet in case my wallet gets stolen (again). In both cases, all Dropbox gets to see is a highly encrypted file. 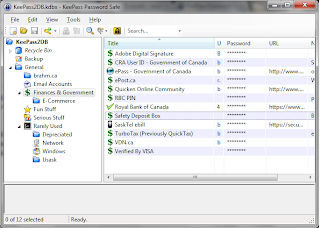 I start up KeePass or TrueCrypt and open the files locally on my computer, but Dropbox wouldn't ever "see" the password or the encrypted files inside, just a lump of garbled data.